Festivales can’t wait to introduce its services at this year’s Showman’s Show! 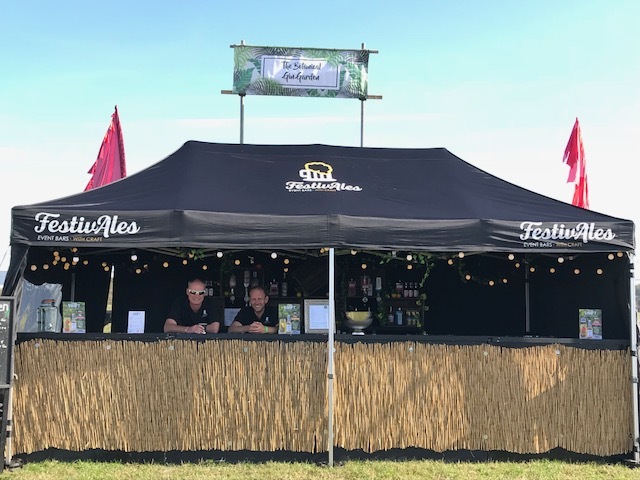 With over thirty years’ experience running high performance bars at festivals, Festivales understands what it takes to put on a successful bar. Whether it’s a main bar, multiple bars across a festival or themed artisan bars, the company provides crafted solutions to meet every requirement. Festivales manages everything end-to-end, allowing you to focus on your event. Its services include venue design and theming, licensing, sponsorship and brand activation, install and breakdown, stock control, full on site management, all complete with friendly and knowledgeable staff and cash handling. The company prides itself on its amazing network of independent brewers and artisan makers which ensure that it always curates a drinks menu that stands out and delivers something special to its customers. Festivales also run meet the brewer and tasting sessions and competitions to bring further value to customers. Vist Festivales at stand 219, Avenue D for a tipple and a chat about how they can enhance your next event.